Anything pertaining to instruments inside our store or from our distributors. Customer dropped off beautiful old bass guitar, had some rewiring done in 1975! 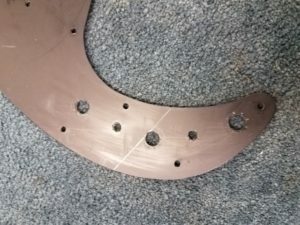 Owner stated it was cutting out and sometimes had no signal. Got the go ahead to rewire with new pots and output jack but save the switches and capacitor. Got the new foil on and placed controls on the pick guard. Got it all wired up. Wired in pickups and all is well. New volume and tone control, output jack. Saved the capacitor and switches. 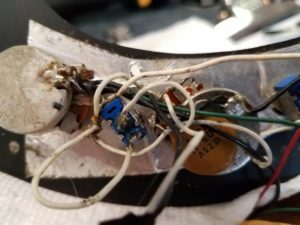 Got a question about the electronics in your guitar? 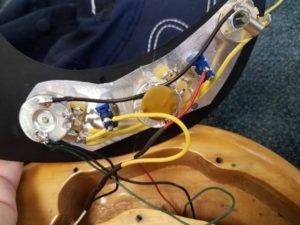 We can do most any electrical work on guitars. Stop by and let’s take a look. 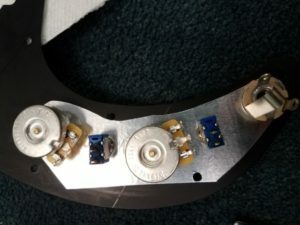 The First Instrument Your Tried Isn’t Working For You-Now What? There are so many types of instruments, it’s hard to choose one. Whether you’re playing what your friend plays, or choosing something you love the sound of, sometimes it doesn’t work out. But don’t worry! It’s totally okay for it to not be a perfect match. ing practicing, and playing it in lessons just didn’t make me happy. One of the best things my parents have ever done for me happened at that point; they told me I could switch instruments. For some reason the sound of the clarinet peaked me interest. I started lessons at school, and it was awesome! I enjoyed practicing, even when it was hard. I played clarinet for a few years, then took advantage of my wonderful band teachers at the middle and high school, and I tried a bunch of the instruments the school owned. I soon found myself wanting to play bassoon, and a few years later the trombone. It took me from 5th grade until my sophomore year of high school to find the trombone, and it’s my main instrument now. Although I loved many of the instruments I tried along the way, it took me awhile to find the one that was right for me. As a student, my advice is to talk to your band teachers; they are there to help you, and more than likely have an instrument you can try. I’ve never met a teacher that wasn’t excited to see a kid want to learn another instrument. They are one of your greatest resources, especially if renting multiple instruments from a rental company isn’t in the budget. To parents, having reflected upon what my parents did for me, my advice is to encourage your child to find the instrument they love. It’s hard to have put money and time into one instrument, and not have it work out, but you have resources to help you out with that. We have instruments here your child can give an initial play test, and their band teachers might have an extra instrument laying around for your kid to try. The best thing my parents did for me, throughout the years, was to encourage me to keep searching. They asked other parents, neighbors, and family members if they had or knew someone who had an instrument I could borrow if renting one wasn’t in the budget. They encouraged me to be the forger of my own music trail by investing $8 here or there on method books that are targeted at students teaching themselves. If you have questions about resources, or are unsure how to get an instrument in your kid’s hands, come talk to me or anyone at the store. The chances are we’ve been in your situation, or know someone who has been, and we are more than happy to help you help your child. In the end, I want to remind you that it’s okay if the first instrument you try isn’t the one for you. 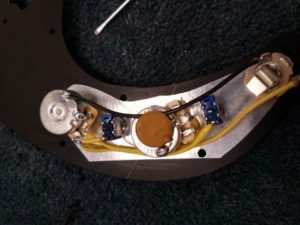 Of course you should give it a worthwhile try to ensure it’s not a dislike due to a slight bump in the road, and you should try and find out if there is a way to try other instruments before switching, but it is totally okay. I did it, and so many other people I know did it too! If you want to try out an instrument you’re thinking of switching to, come in and sit with me! We can play together, or you can try it out in our private practice room. No matter where you are headed in your musical journey, I want to help. I’ll see you soon! Author NicolePosted on March 10, 2019 March 17, 2019 Categories General Interest, Instruments, RentalsTags band instrument, band teachers, choosing an instrument, decisions, play test, rental alternatives, rental instrument, rentals, resoruces, trial, try it outLeave a comment on The First Instrument Your Tried Isn’t Working For You-Now What?